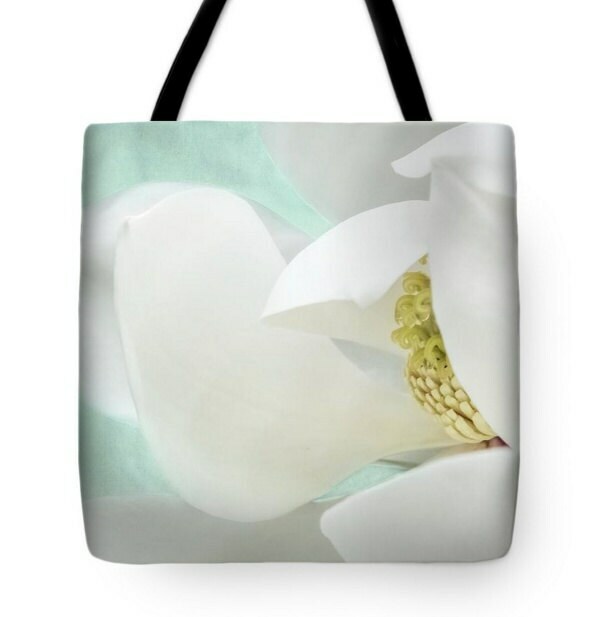 Dreamy soft and romantic tote bag. Fresh new creamy white magnolia blossom opening up. Sure to please a gardener lover or anyone with a romantic soul.